Peep toes pumps, Heel height: 6" heels, 2" platforms (you'll be 6" taller at 4" comfort). Our sizes are true to size based on US standard Regular Fit. "As an award-winning classical soprano and traveling singer who's seen 40 countries in four years and stands for hours onstage, sometimes singing multiple shows in one night, I LOVE this shoe! Not only is it absolutely stunning under a spotlight, but it's perfect for women who need a little extra height onstage without sacrificing comfort! I'm honored that Marc would allow me to be the face and name of one of his most beautifully designed peep-toe platforms. Only a handful of entertainers in my field know just how fashionable and functional Marc's shoes are, so I hope my representing this shoe will make more singers and musical artists aware of his brand so the audience will swoon over these shoes (and maybe buy themselves a pair!). Thank you, Marc, for the honor of representing this gorgeous shoe, and thank you for embodying your shoes with real people with real stories of how shoes can change lives! I'm one of them!" Opera singer in many operas with various opera companies including Mozart's Magic Flute, Bernstein's Candide, etc. Touring the world with her one-woman "Show: Impossible" Hollywood's and Broadway's most difficult songs to sing in 45 minutes. Barbi McCulloch, has become one of the most unique, versatile, and engaging performers in many genres of music. Originally trained as an opera singer, her classical career includes a world premiere work as a soloist at Carnegie Hall and the Spoleto Festival USA, soprano soloist in Handel's Messiah, Carmina Burana, "An Evening with Rodgers and Hammerstein" and Mozart's Requiem with many symphony orchestras. She has portrayed the roles of Queen of the Night in Mozart's Magic Flute, Cunegonde in Bernstein's Candide, and Adina in Donizetti's L'Elisir d'Amore, to name a few. In New York City, she premiered the role of June in the avant-garde play "On the Death of June" on the New York Stage, among other world premiere roles. She also premiered the role of Sophie in the new opera, Saint Nicholas, at the National Opera Association Convention and Goldfish in the new opera-musical Animal Tales. She was also named one of the top ten finalists in the New York Musical Theatre Festival's "Next Broadway Sensation" Competition. 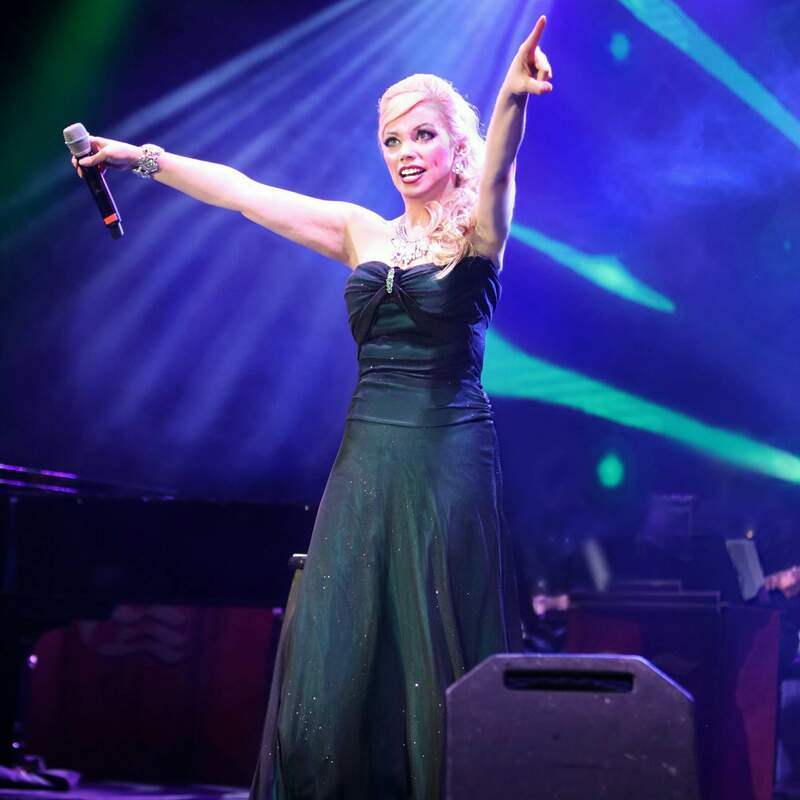 As a recording artist and entertainer, she has also shared the stage with a variety of well-known artists, including the 1980s pop star-turned-Broadway star Deborah ("Debbie") Gibson, as well as pop star Britney Spears and classical crossover artists Edgar Meyer and Bela Fleck. She has also been a winner and finalist in the American Traditions Competition, the Metropolitan Opera National Council Auditions, and a recipient of the Tennessee Arts Commission Artist Fellowship. With a voice critics have described as "powerful yet heavenly" and with "purity of tone", she continues to break boundaries in both classical and more popular genres of music. 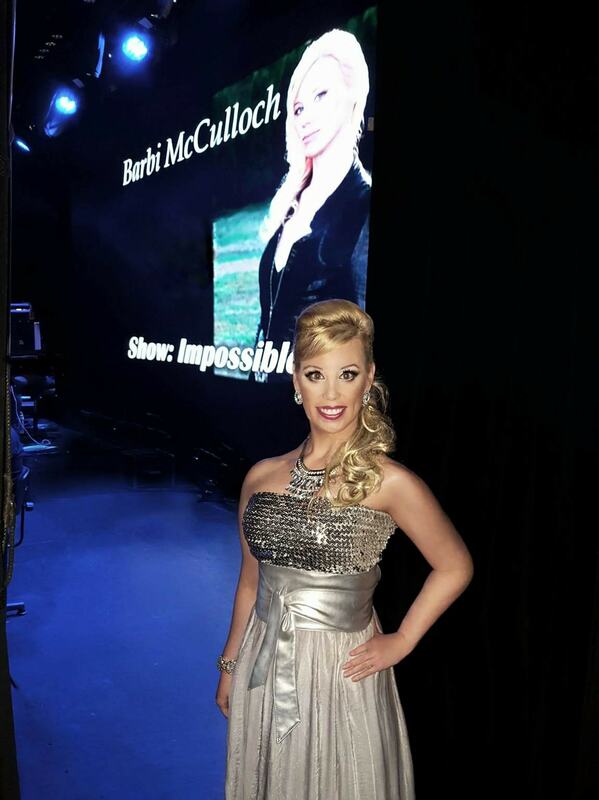 Barbi currently travels the world as an entertainer for various cruise lines and across the USA, delighting audiences with her one-woman shows, "Always Find A Song" and "Show: Impossible" - Hollywood's and Broadway's most difficult songs to sing in 45 minutes. These shoes are absolutely stunning! (But I'm pretty sure that they're actually 5 1/2 inches, rather than 6. I have another pair of Marc DeFang shoes that are advertised as 5 1/2-inch shoes, and when I put those next to this pair, they are exactly the same height. I later verified the height by using a ruler to measure from the floor to the top of the heel. For me, that turned out to be a blessing, since I was wearing my other 5 1/2-inch shoes when I got fitted for my wedding dress.) I can't wait to wear these to my wedding next weekend!!! I'm sure they'll get lots of compliments.